A Sept. 20 news report in the Paulick Report that The Stronach Group (TSG) has barred under-suspension trainer Marcus Vitali from competing in the future at TSG-owned tracks has allegedly come as a surprise to Vitali himself. 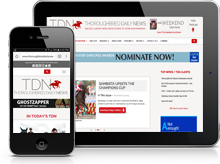 In two separate phone conversations with the TDN Tuesday–the first was interrupted because the embattled veteran trainer had to take an incoming call from his attorney–Vitali said no one from TSG has contacted him or his lawyer about not being allowed to stable or enter horses at TSG tracks. Those venues include Gulfstream Park and Laurel Park, where earlier this year Vitali said he had a combined 25 horses in training. According to that article, dating to 2011, Vitali has had 23 equine medication violations in Florida alone. The piece also reported that under the terms of a July 1 “settlement agreement,” Vitali is currently sitting out a 120-day license suspension from the Florida Division of Pari-Mutuel Wagering and has been assessed a $7,000 fine. Vitali emphasized several times in his interviews with the TDN that the banishment outlined in the Paulick Report was news to him. “I don’t think they asked [Hunter] to take the horses off the grounds. I think they asked him to disperse them among other trainers,” Vitali said. Vitali said he has not determined how or if he will re-enter training once his suspension ends Oct. 29. 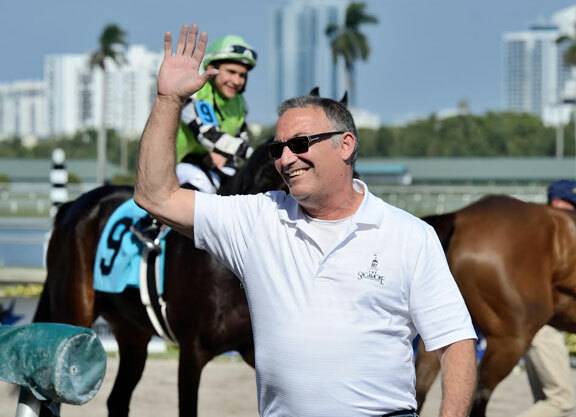 Vitali continued: “Unfortunately, I think this was all a big misunderstanding with the [Florida pari-mutuel] division, and I’m relieved that it’s finally resolved, and I feel very comfortable. I feel like a big weight’s been lifted off my shoulders.